India is as beautiful as it is challenging. In the same moment, you might see the most awe-inspiring sight while witnessing the desperate poverty that is evident through much of the country. It’s important to prepare yourself for this prior to your journey to minimize culture shock as much as possible. Read guide books and stories written by others who’ve traveled to through the country to get a better idea as to what to expect. October in northern India is just on the cusp of the rainy/warm season and winter. While it will be warm, plan to dress for a variety of weather conditions as it can be hot and rainy one day and cooler the next, requiring a light jacket. Our travels will be as far east as Varanasi and as far west as the Rajasthan desert (where temperatures can top 100 degrees Fahrenheit). We’ll be traveling in a variety of modes of transportation including trains, planes and tourist buses. In most cases, these will be quite comfortable, with air conditioning provided in the tourist buses and either air conditioning or a fan in the sleeper train. 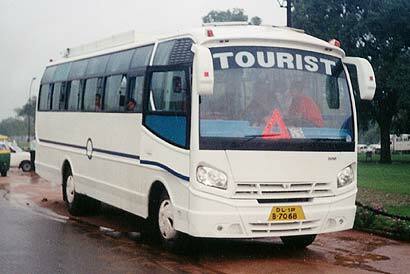 In India, there is a saying that “Guests are Gods” and tourists are generally treated quite well. You might find that you become the center of attention, that the locals are eager to become your friend, that they want to practice English or they want to have their picture taken with you. Sometimes this can be quite overwhelming. You’ll need to remember that their intentions are usually quite good and that if you need some personal space or need to take a rest from the attention it’s OK to do. Sometimes it can feel like everyone wants your rupees – a shopkeeper, a beggar, the street children, musicians… the list goes on. Unfortunately, you sometimes have to teach yourself to be blind to this in order to preserve your sanity. I encourage you NOT to give to beggars and street children, as tempting as it is. Instead, keep your rupees and donate to a reputable non-profit organization that is doing something to help those in need. I can help you track down appropriate organizations. Vegetarians, take heart. 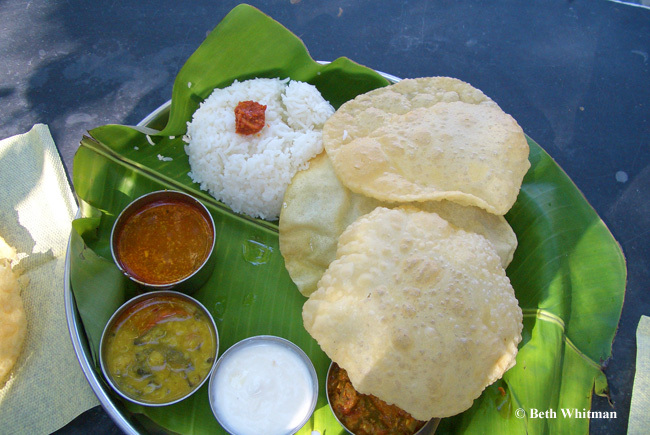 Many Indians are vegetarian and it’s very common for restaurants to offer a choice of “veg” or “non-veg” food. While often times the food can be hot/spicy, it’s relatively easy to find food that is mild and that won’t send sensitive stomachs into a tailspin. If you have specific allergies (i.e. peanuts, wheat, gluten, dairy, etc. ), it will be harder, but not impossible, for you to find food that suits your needs. Many dishes are prepared with dairy and yogurt is often used to temper the spicier dishes. You’ll be overwhelmed with all the potential for shopping – from jewelry to clothing to trinkets to spices and tea. And much of these are so cheap it will be difficult to curb your need to spend. We’ll be visiting emporiums (where handicrafts from around the country are available) as well as many small shops in all of the cities/villages will be visiting. Be prepared to purchase an extra bag in order to carry home all the souvenirs you’ll be interested in! The Indian currency is the rupee. Currently, there are approximately 50 rupees to the U.S. dollar. I suggest you carry some cash with you in U.S. dollars, some travelers checks, an ATM debit card and a credit card. The cash will allow you to exchange money quickly and at small shops who are willing to take dollars. Travelers checks can be cashed as a backup in case you aren’t able to access your debit/credit card. ATM’s are located in most or all of the places we’ll be visiting. By purchasing a power converter, you can charge and use your electronic equipment rather easily. Most outlets in India use a standard adapter that you’ll be able to find in any travel or luggage store near you. Amazon also carries them. Here’s an article I wrote that’s a brief primer on electricity and adapters around the world. While power outtages are common throughout India, it’s unlikely that this will cause any great issues during your trip. These outtages are generally short-lived and when they do happen, they can be kinda fun! Be sure to carry a small flashlight.